Please click here for Part 1 of this post. I reckon that I personally spend between one and two hours per day in Excel, and that’s without doing any active sourcing projects anymore. Back when I was directly involved with sourcing events and the product planning associated with rolling out new technologies around them, I was probably using Excel for 3-4 hours per day. I’m not alone. CombineNet’s recent study looking at the Excel addiction in corporate procurement teams found similar high-usage patterns. In looking at 100 organizations in April and May of 2011, CombineNet found that “while a large percentage of respondents have implemented eSourcing and Procurement suite solutions, the use of Excel is still extensive throughout the bid collection and analysis cycle.” The survey was limited to non-CombineNet customers. In their summary analysis, CombineNet observed that “while Excel’s continued use may not be surprising, the frequency of its use, and its predominance as the tool of choice within many organizations is stunning.” After looking at the numbers, I concur. According to the data collected, “for survey participants that have eSourcing suites, 63% continue to use Excel for creating RFPs and collecting supplier bids outside (or embedded within) their eSourcing solutions on a regular basis.” For users of sourcing capabilities within procurement or suites (i.e., the “three bids in a box type capabilities of many P2P tools), Excel use “for RFP management is even higher, at 74%.” Organizational structure also interestingly had an impact on the use of Excel. CombineNet notes that 100% of “decentralized organizations without a formal sourcing organization” use Excel 100%, in addition to their eSourcing/Procurement solutions for RFP creation and/or bid collection, as part of an e-sourcing and e-procurement driven bidding effort. This number drops for companies with a centralized sourcing function, although less than one would expect. In this case, 71% of “centralized e-Sourcing suite users and 77% of procurement suite users” turn to Excel to manage RFPs. 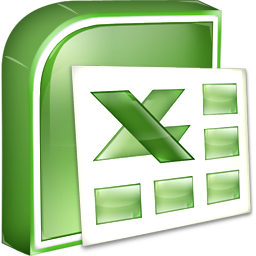 However, “organizations that were “somewhat centralized or center-led” show a lower “reliance on Excel to supplement their suite solutions,” with 54% and 67% respectively of users from this group relying on Excel. Now, some readers might look at these numbers and suggest that Excel at least affords basic capability to analyze and collect information in a standardized environment. No doubt this is true. But the limitations of Excel are many. And the corporate addiction to Excel is even more insidious in our opinion because it’s nearly ubiquitous use masks the many ways it is detracting from corporate sourcing performance. Stay tuned as we investigate this further in the next installment in this series.